In this area, we have a nice 56 year old lady from Ahwatukee, Arizona who was seen in our North Scottsdale, Arizona medical office. She requested plastic surgery management of the excess skin she developed after losing weight. 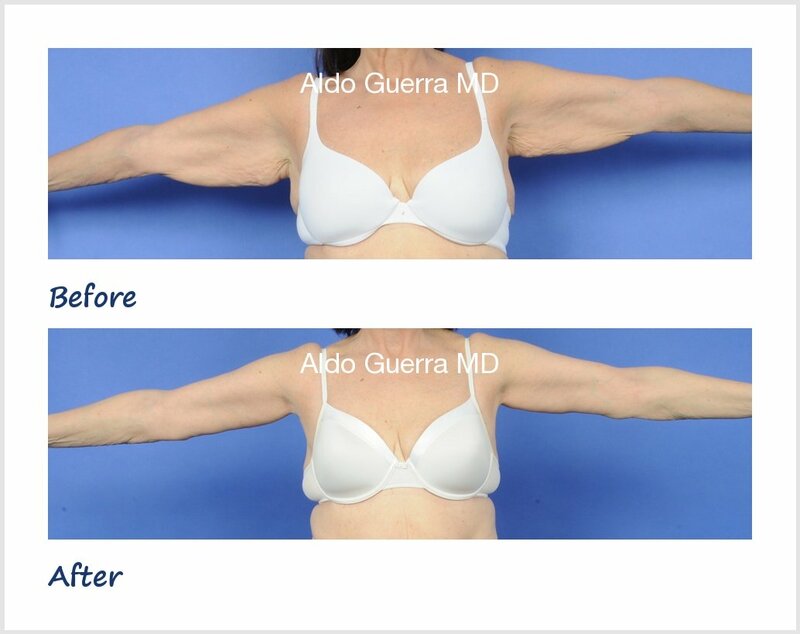 She discussed facelift, arm lift with axillaplasty, and tummy tuck with me during the consultation. I listened carefully and formulated a plan that she was comfortable with. 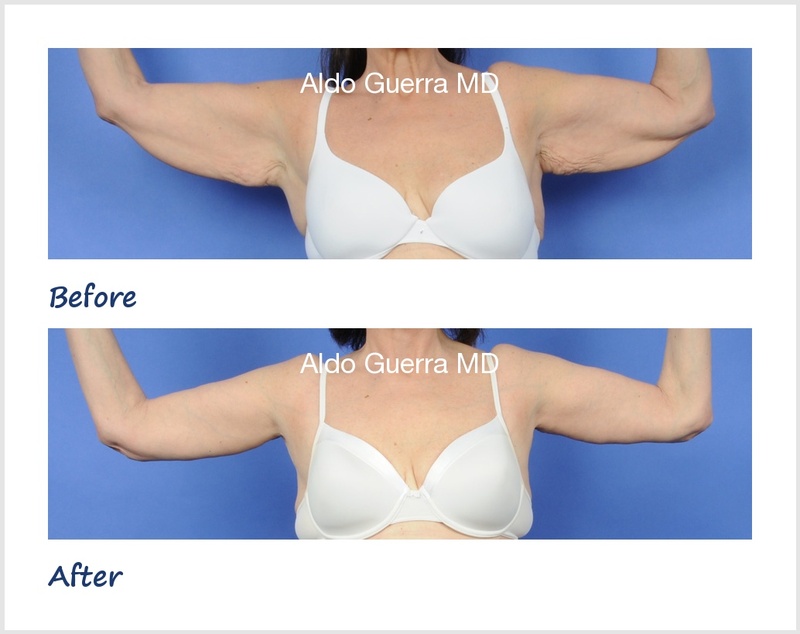 She is 5 feet 5 inches and 145 pounds and decided on an arm tuck and facelift as a combined procedure. 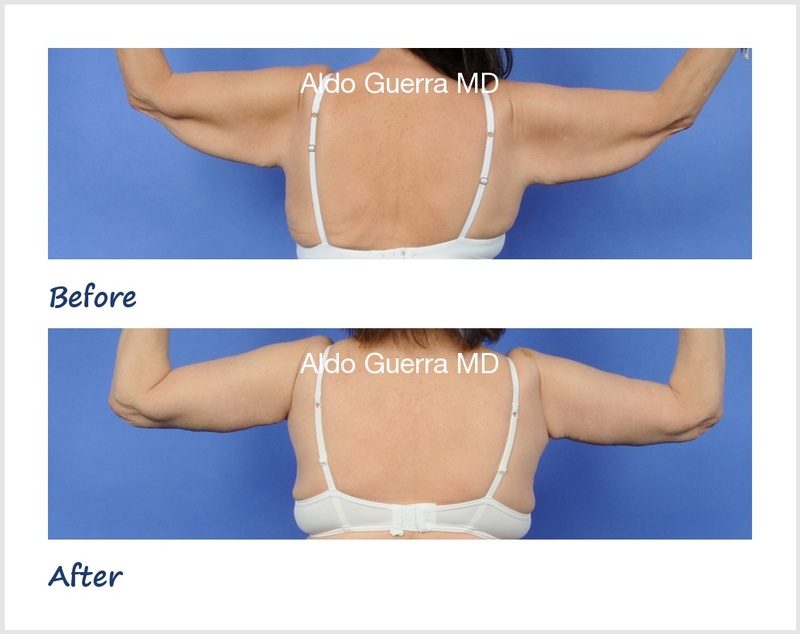 She had her posterior arm lift Phoenix surgery at a local Arizona plastic surgery center, hiding the scar in the back of the arm, and she is shown 5 months after body contouring surgery in the photographs. She recovered very nicely from her cosmetic surgery. She is enjoying her new arms and she told me that her confidence is up since surgery.